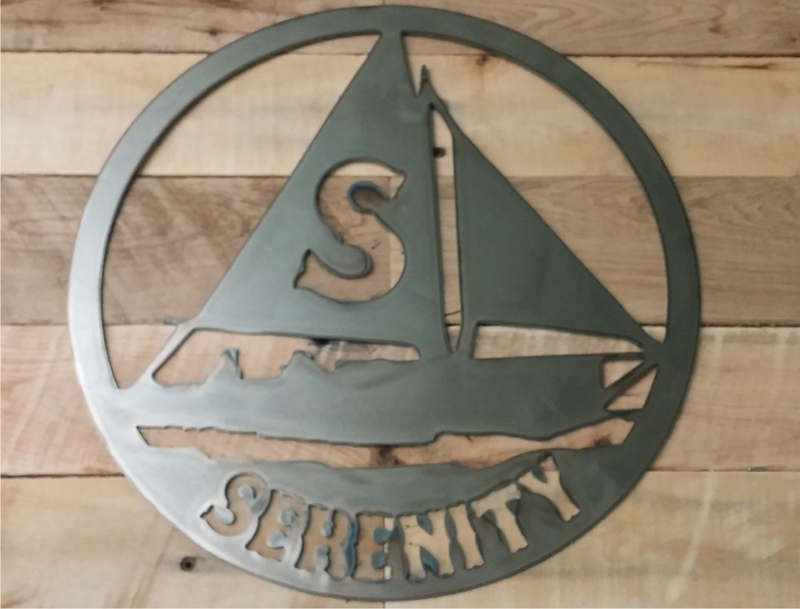 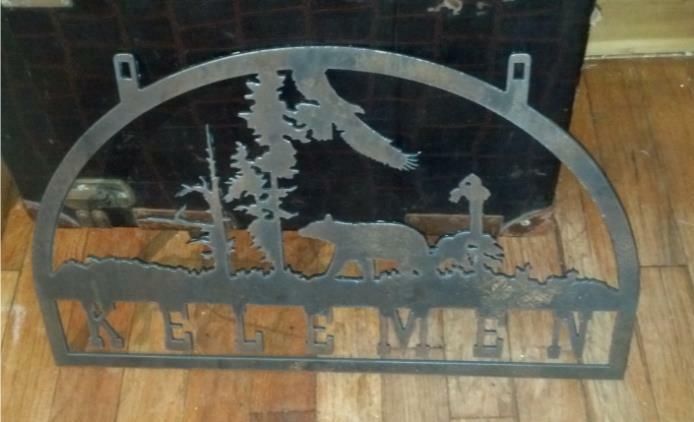 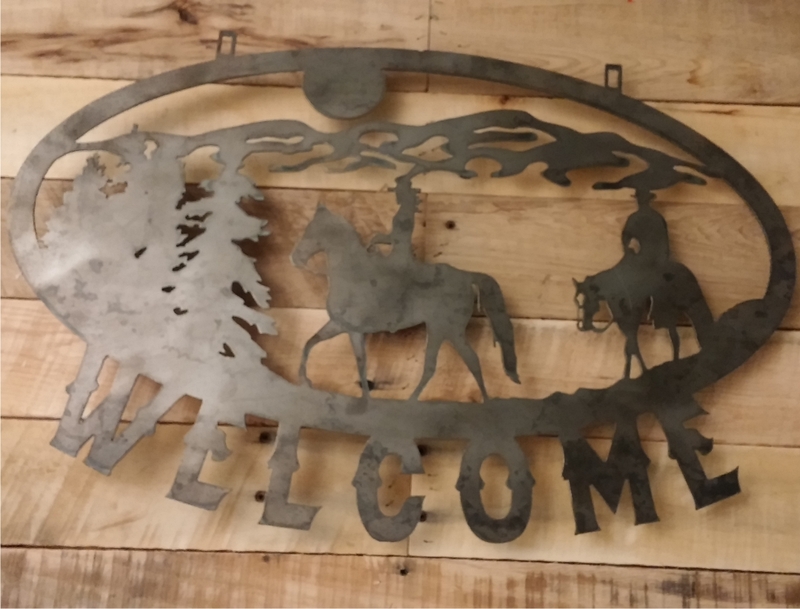 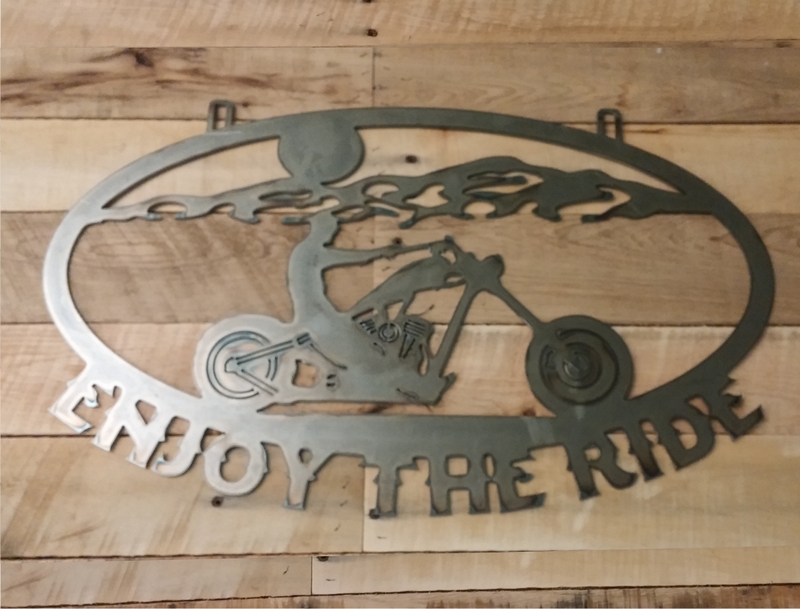 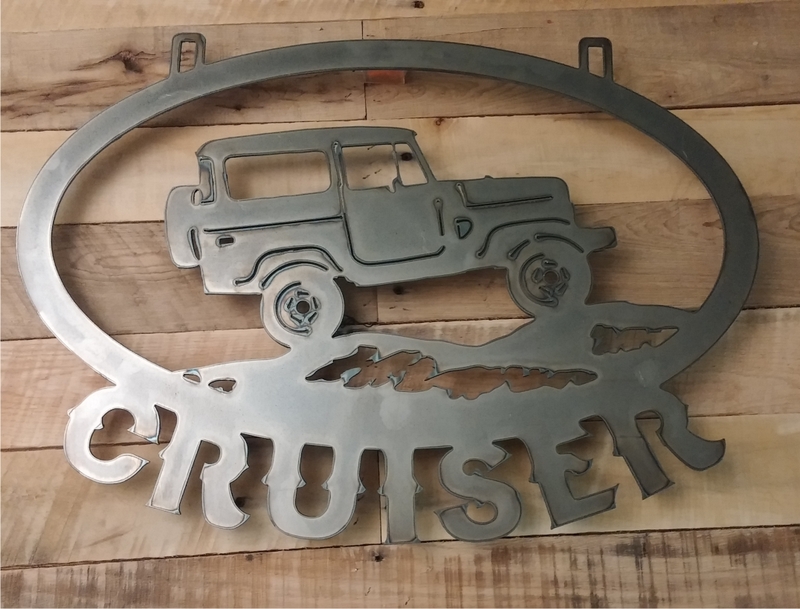 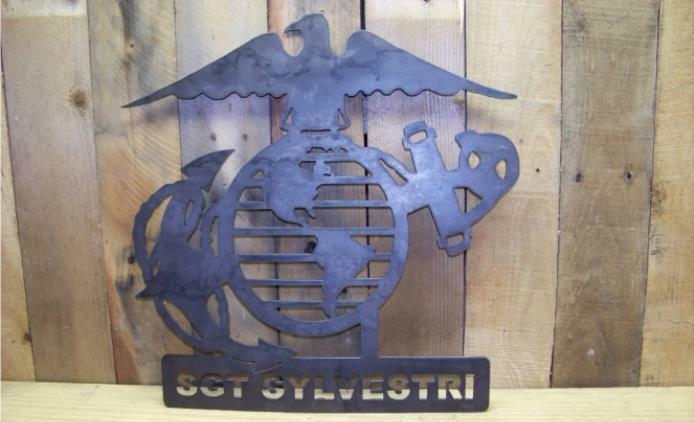 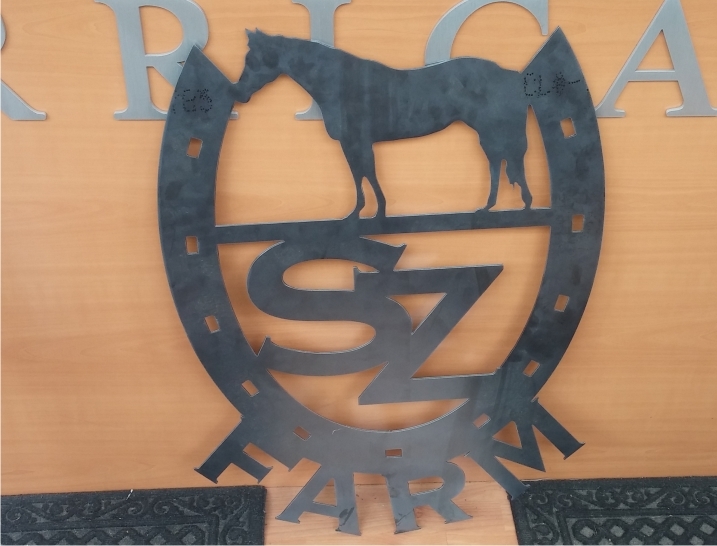 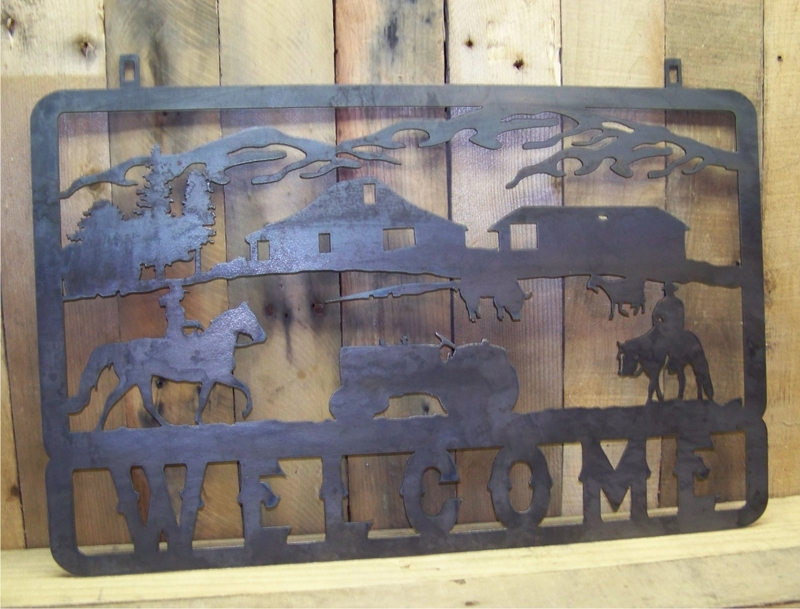 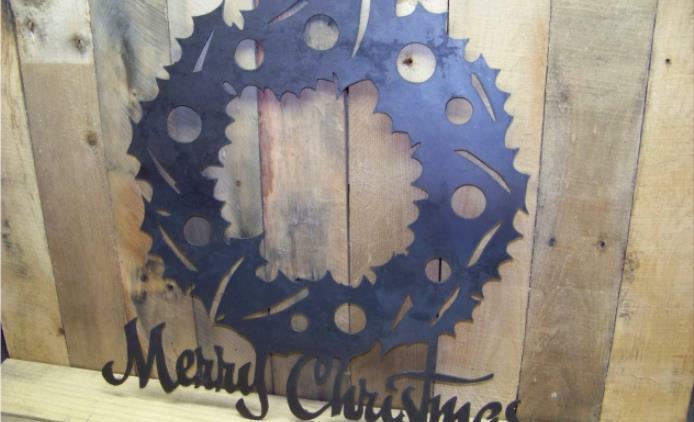 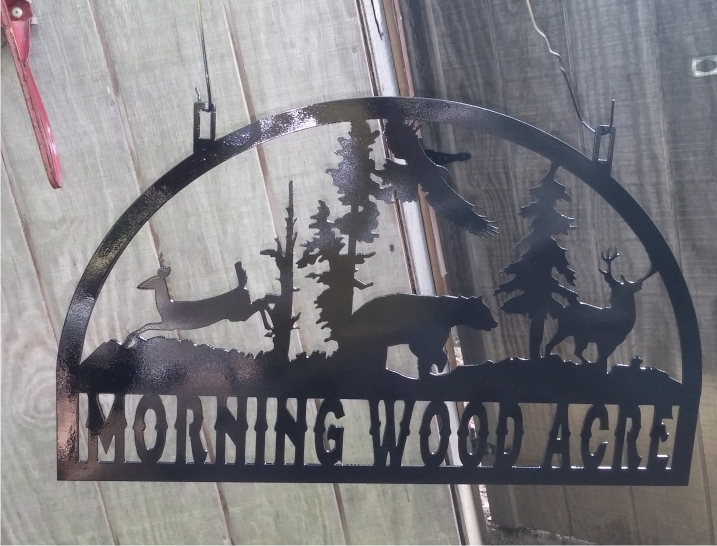 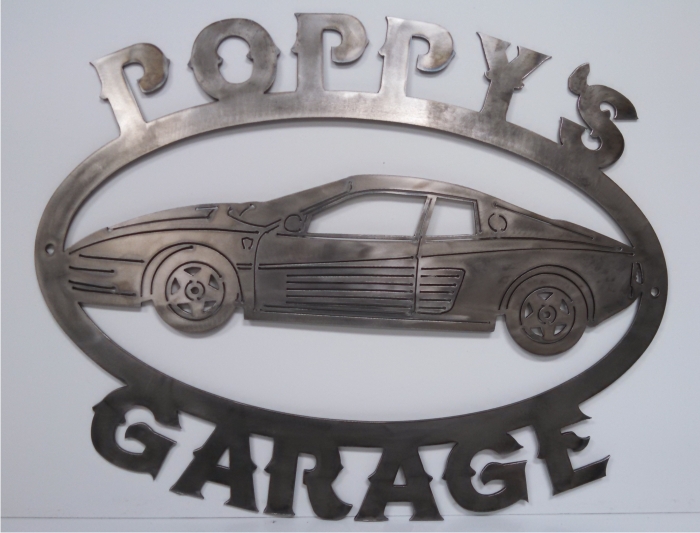 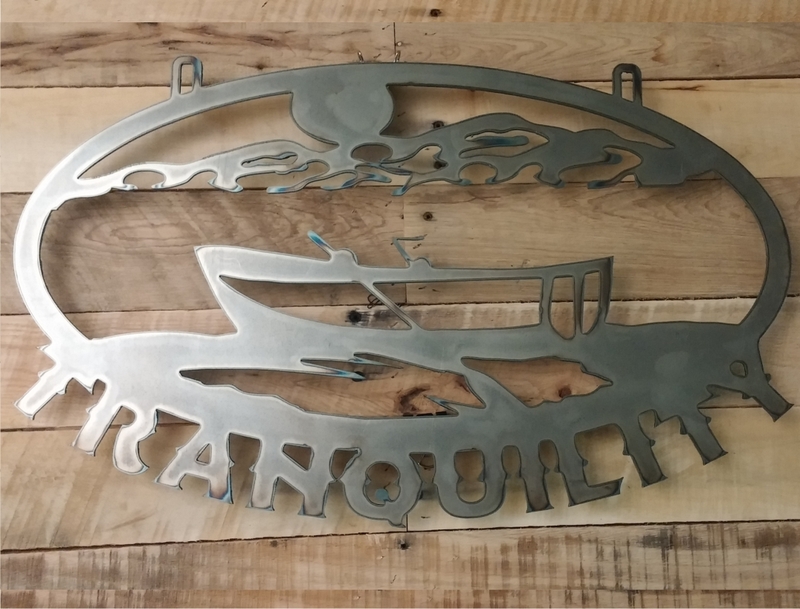 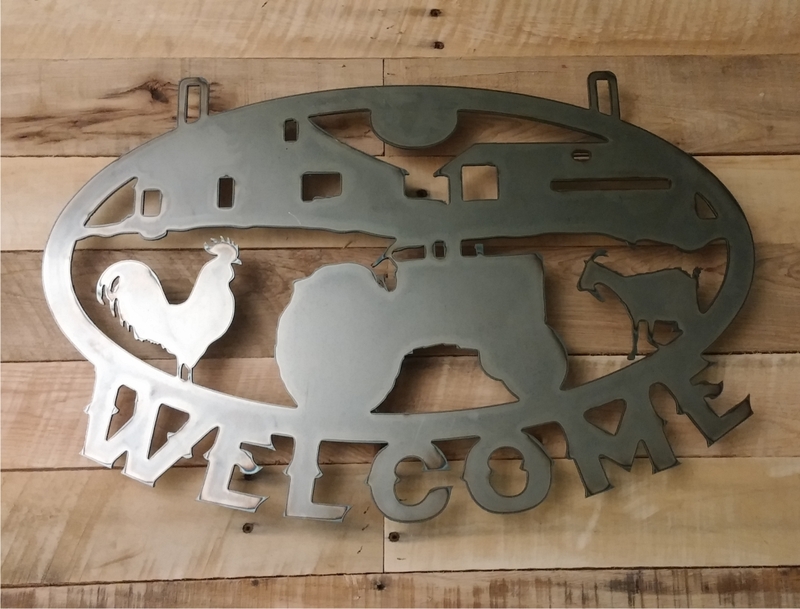 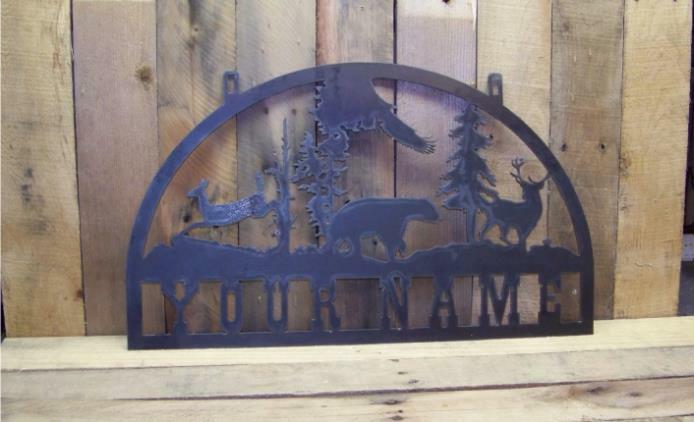 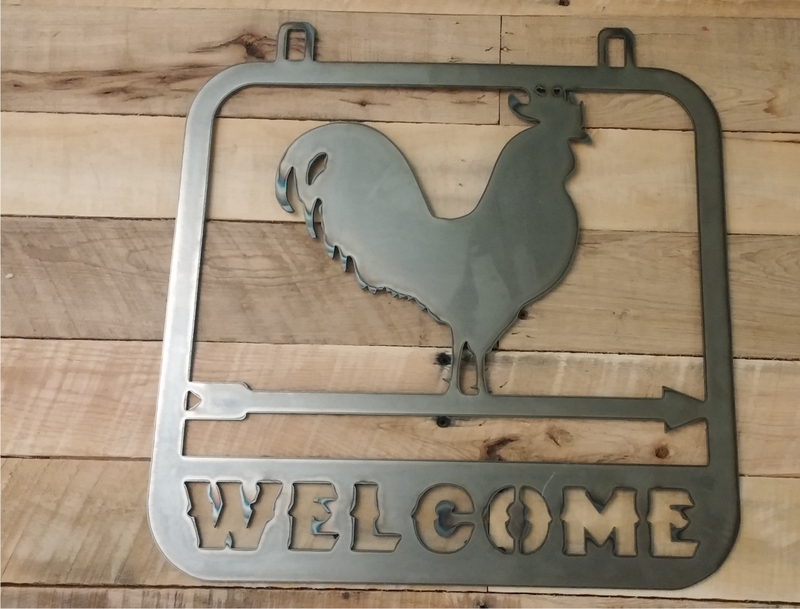 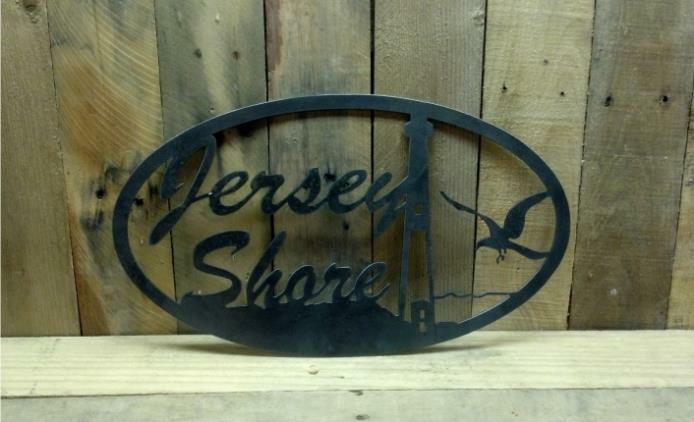 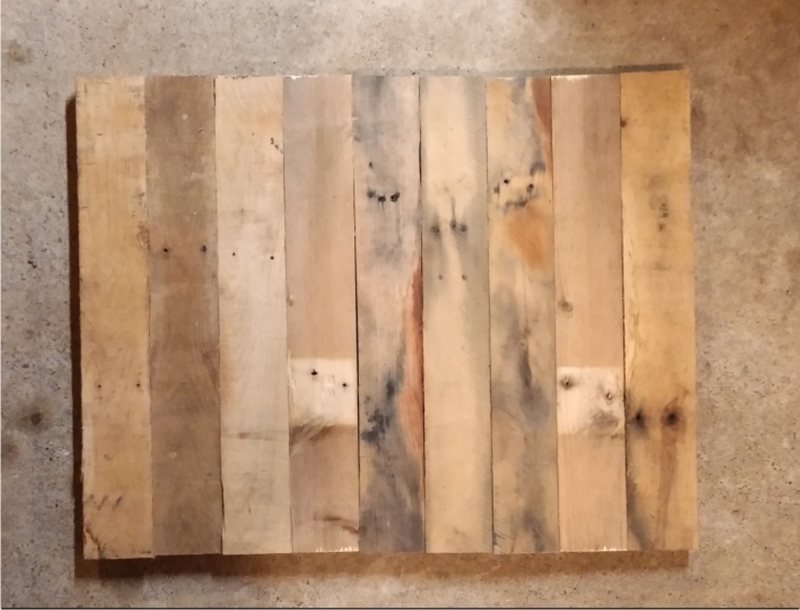 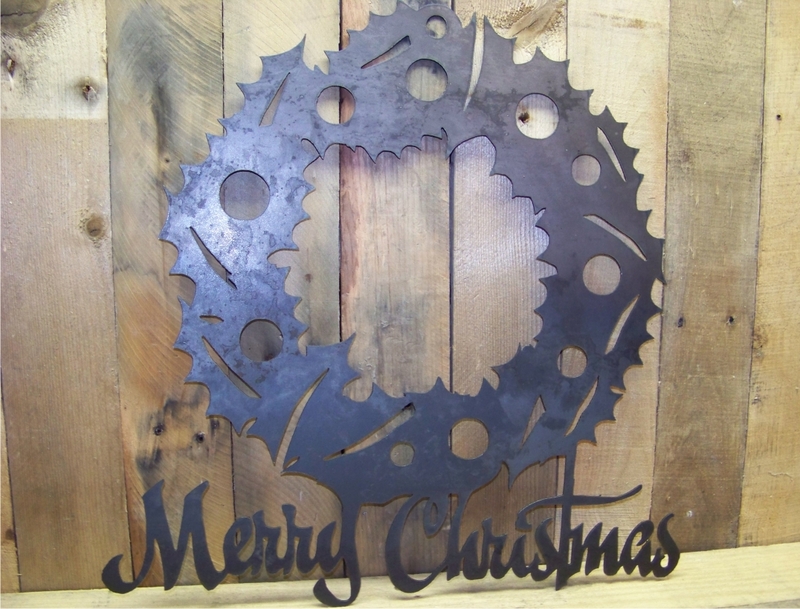 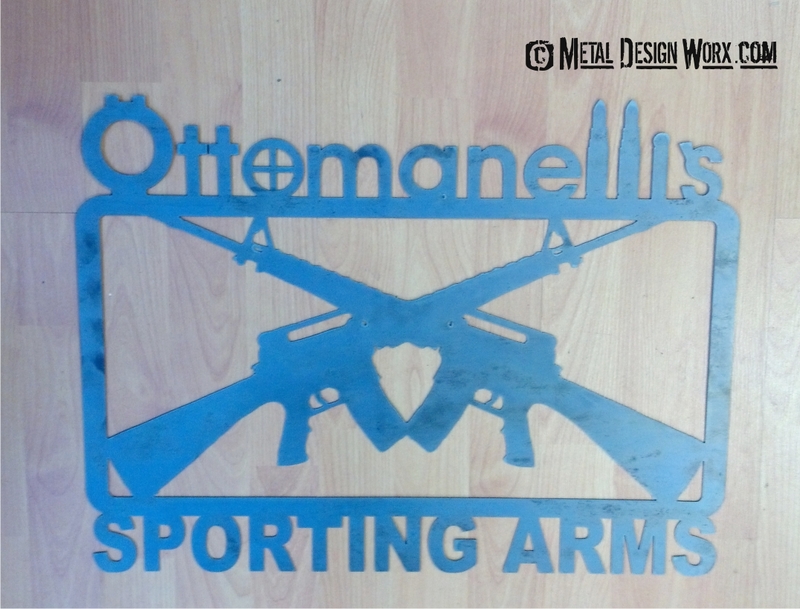 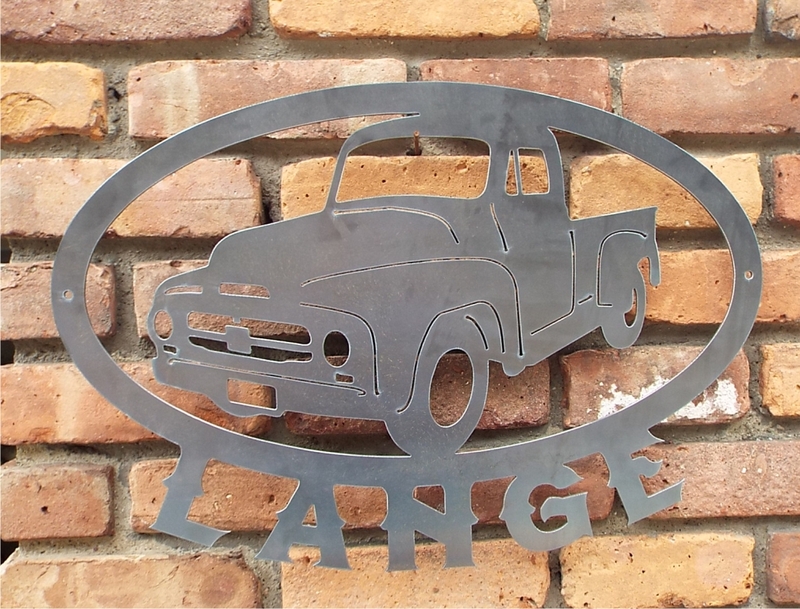 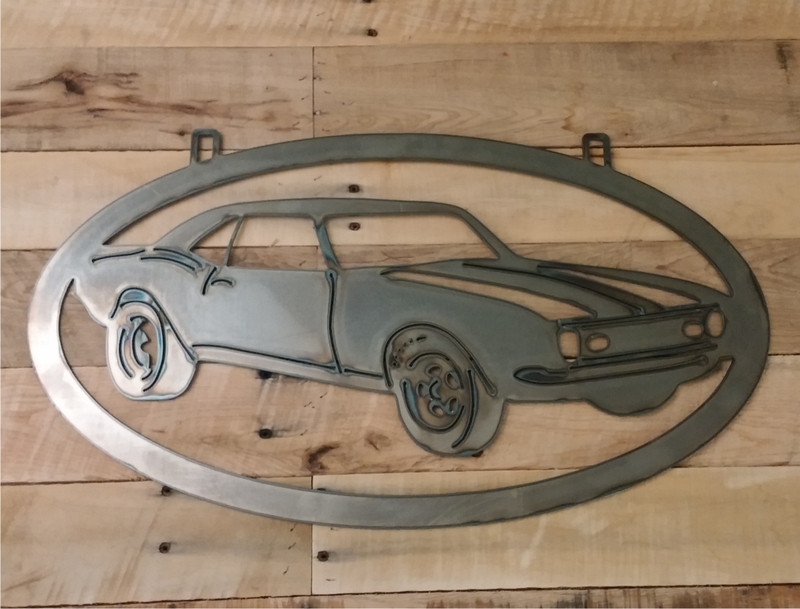 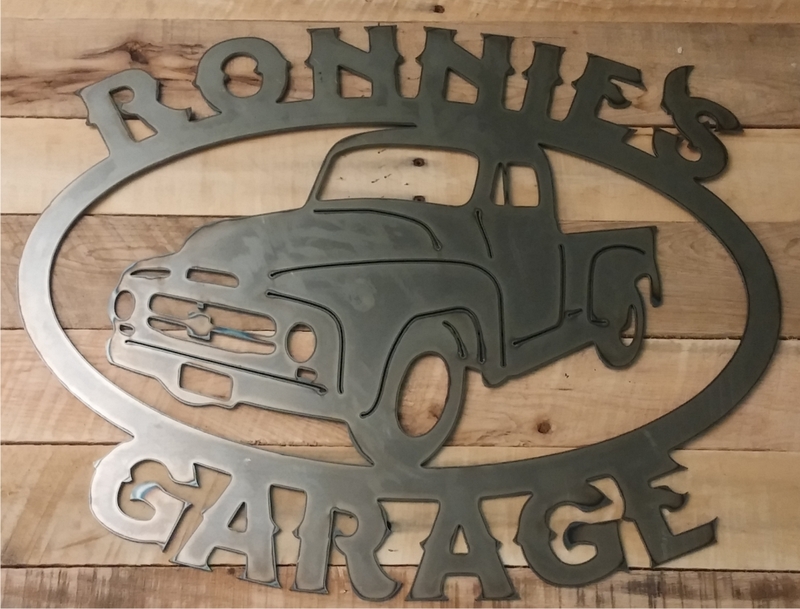 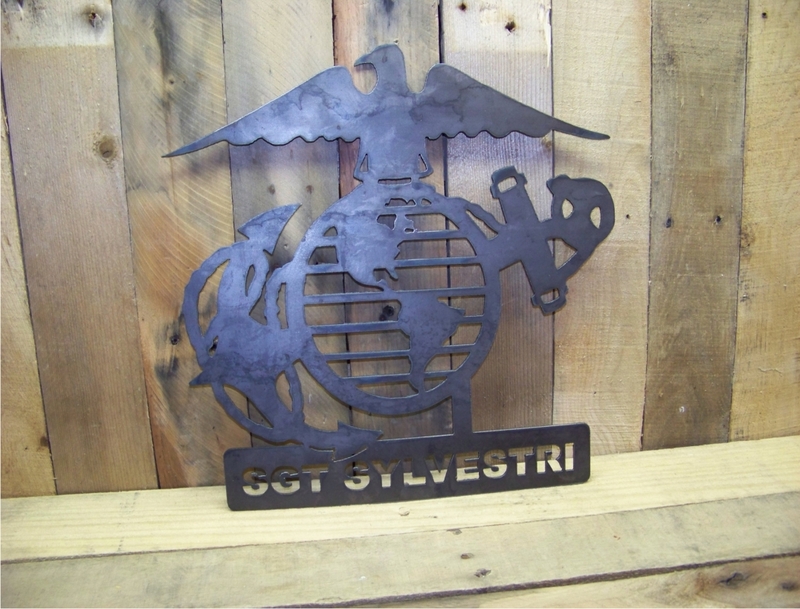 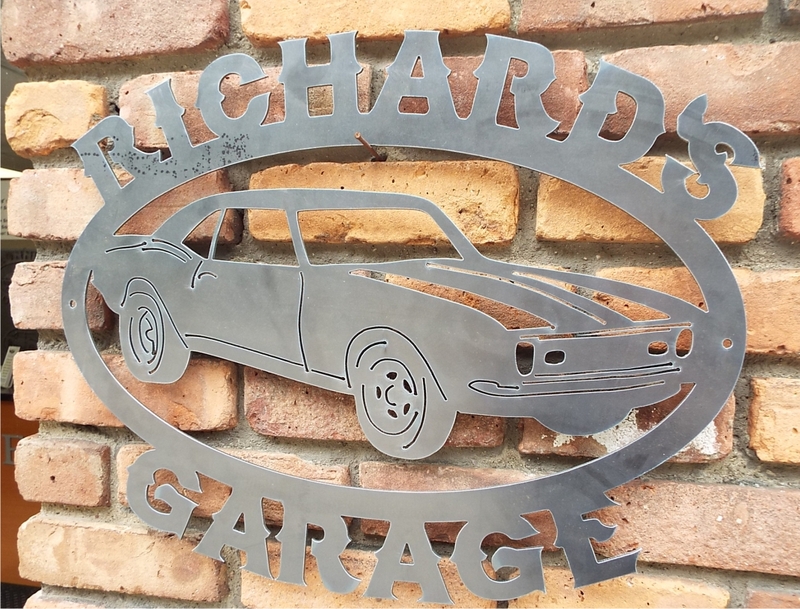 Our signs make the BEST GIFTS! 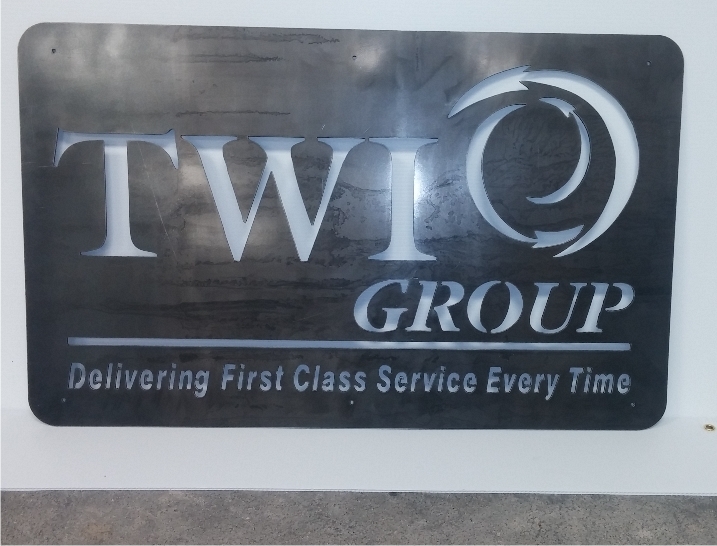 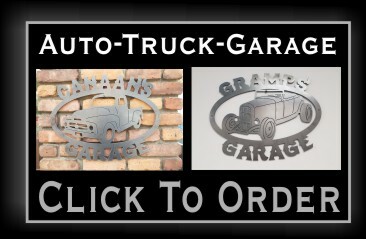 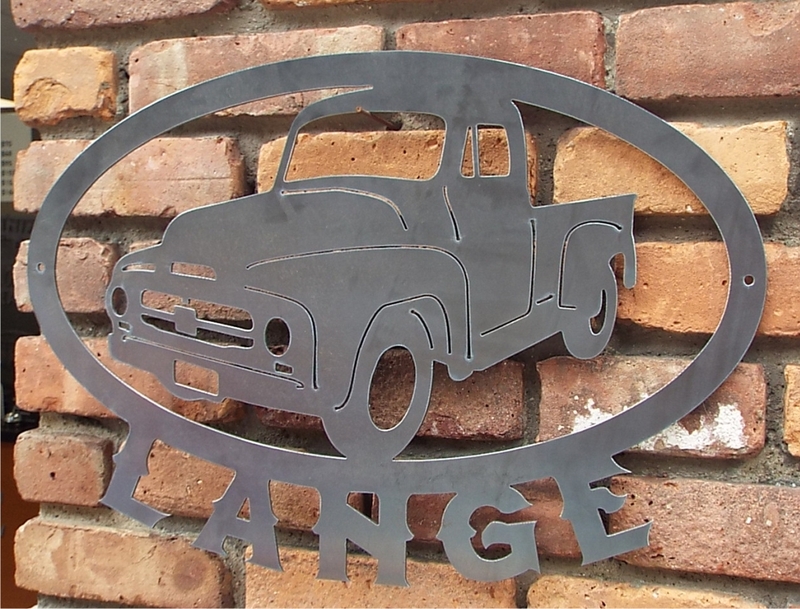 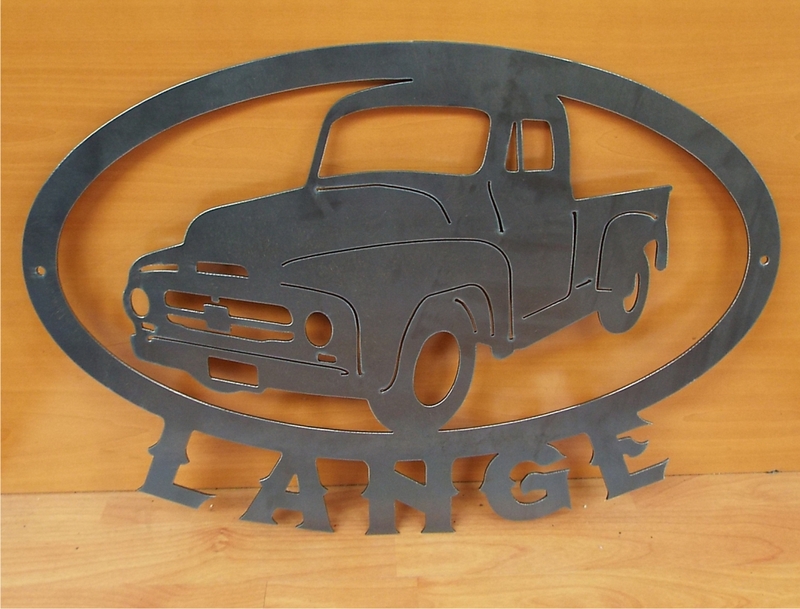 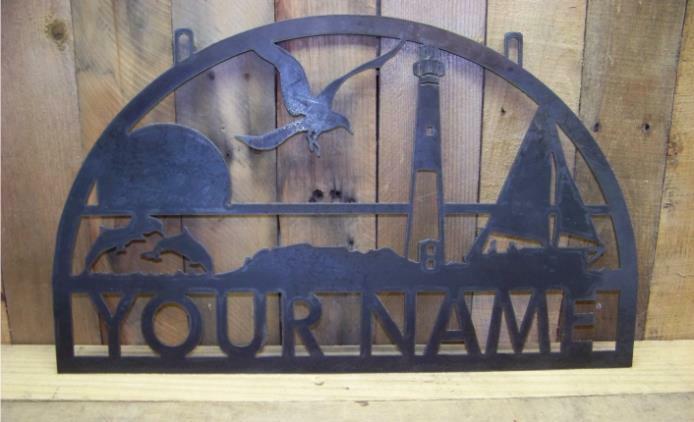 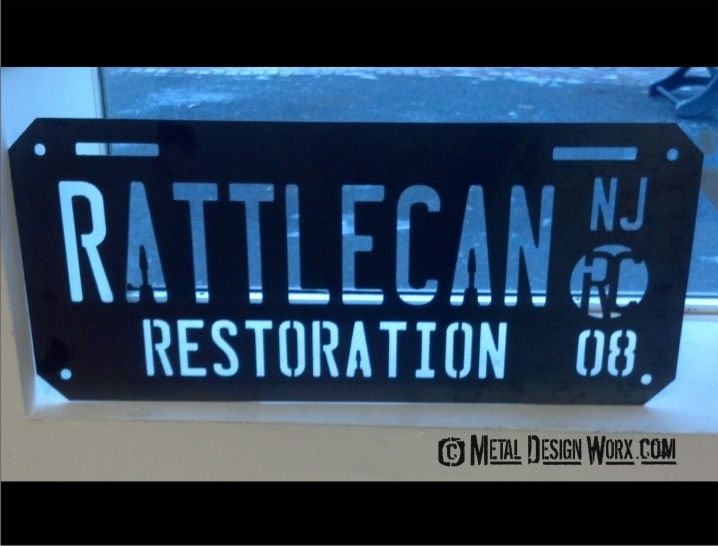 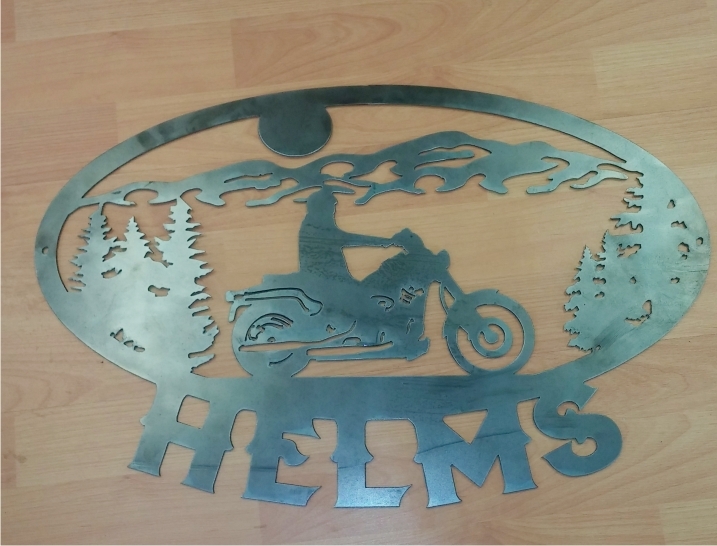 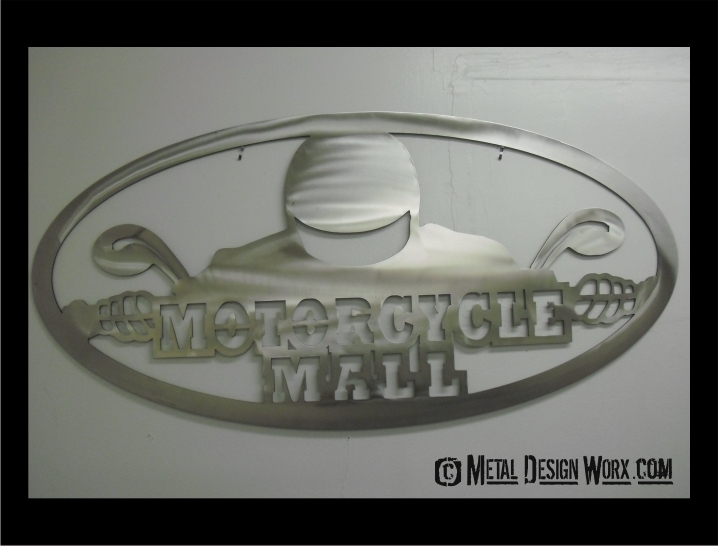 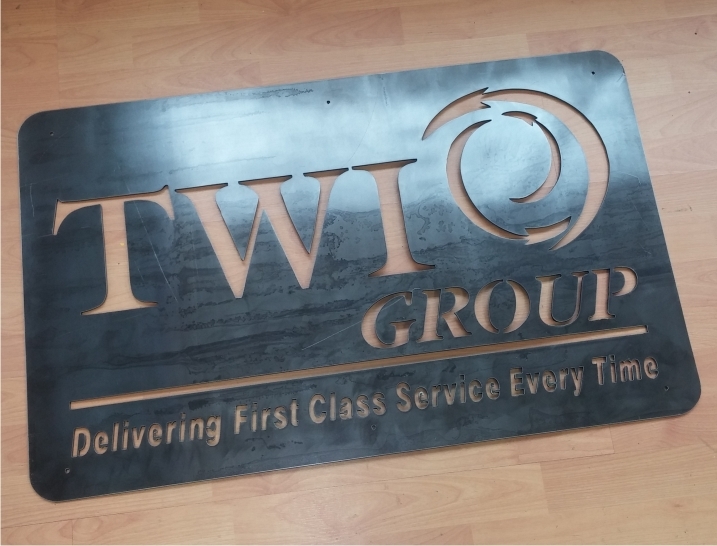 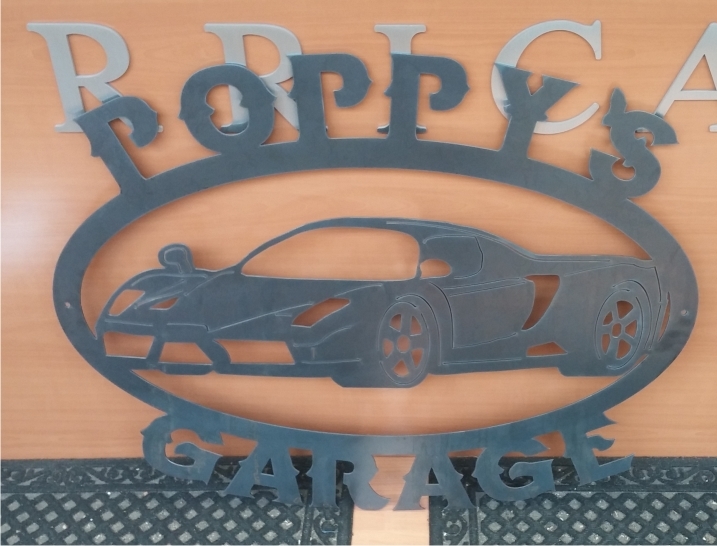 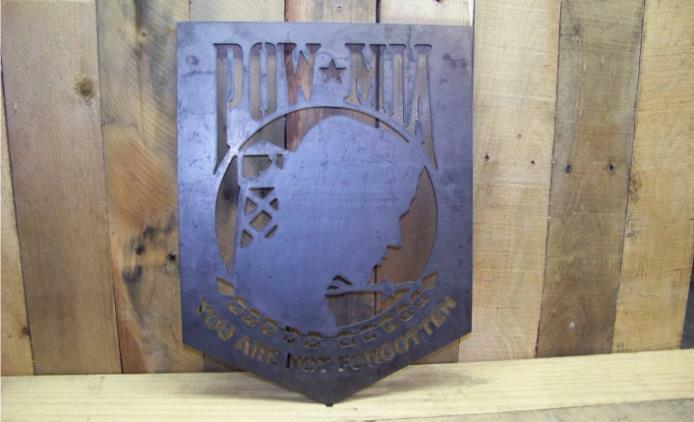 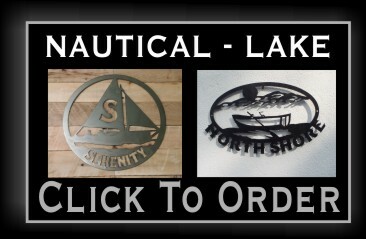 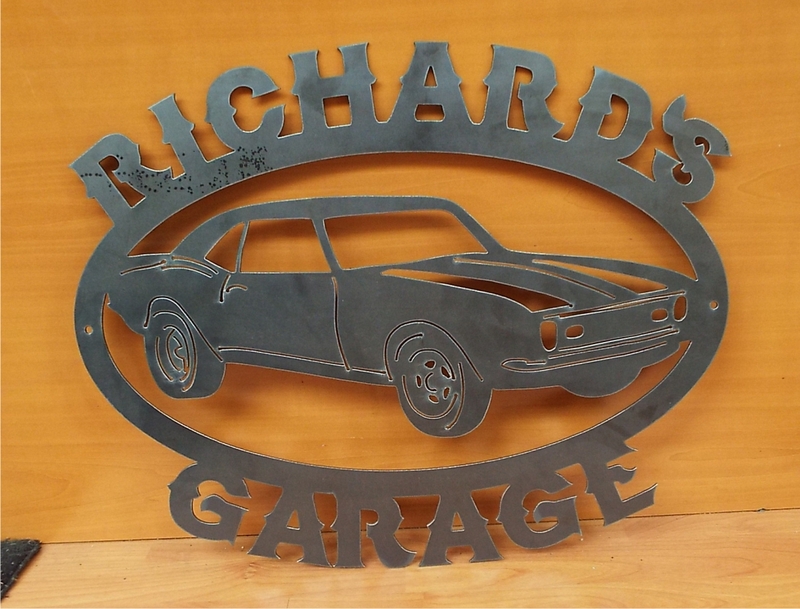 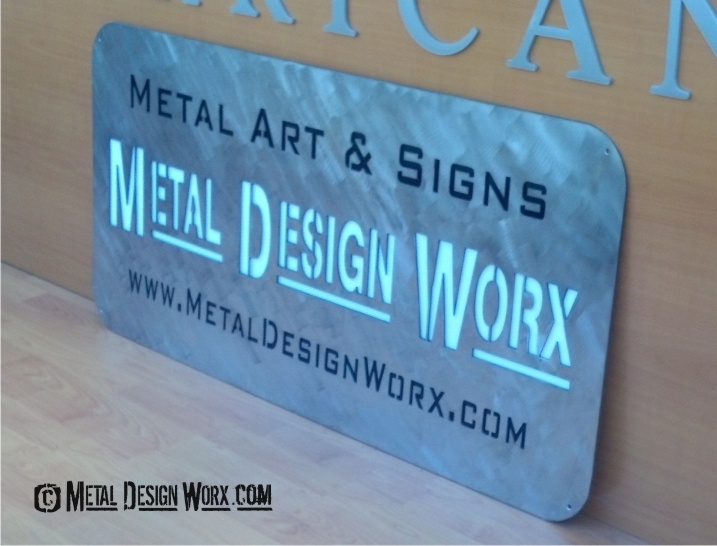 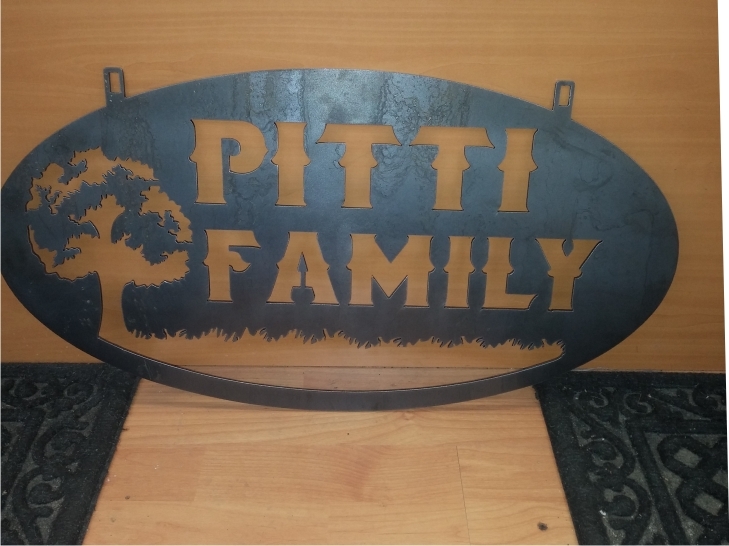 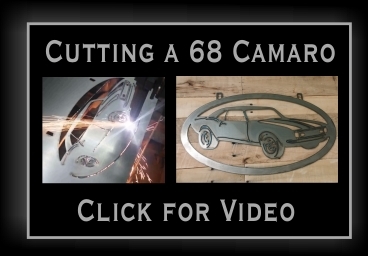 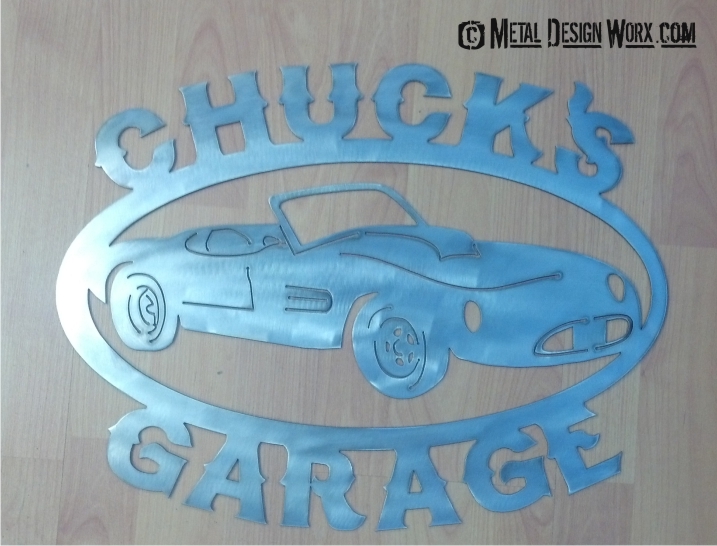 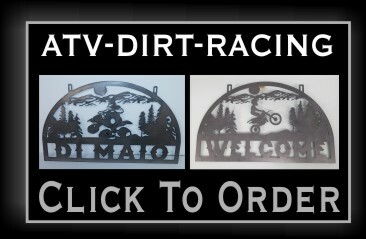 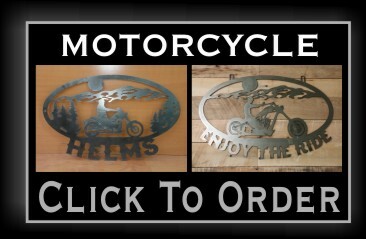 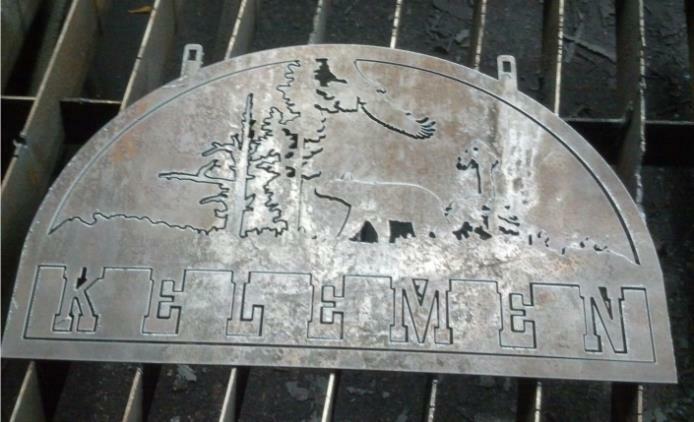 Feel free to call us toll free for custom signs not listed. 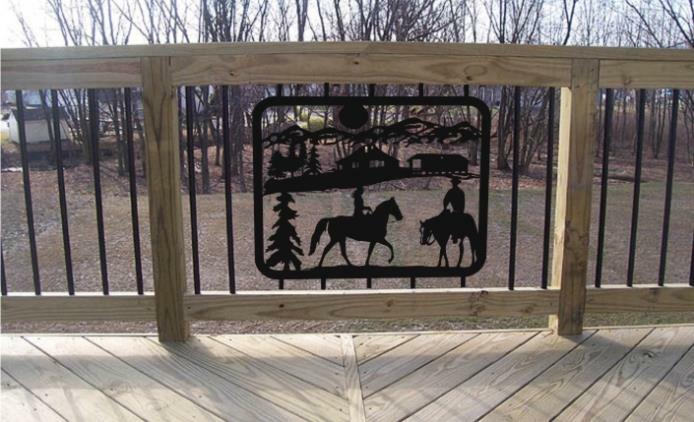 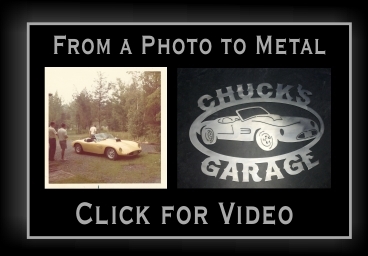 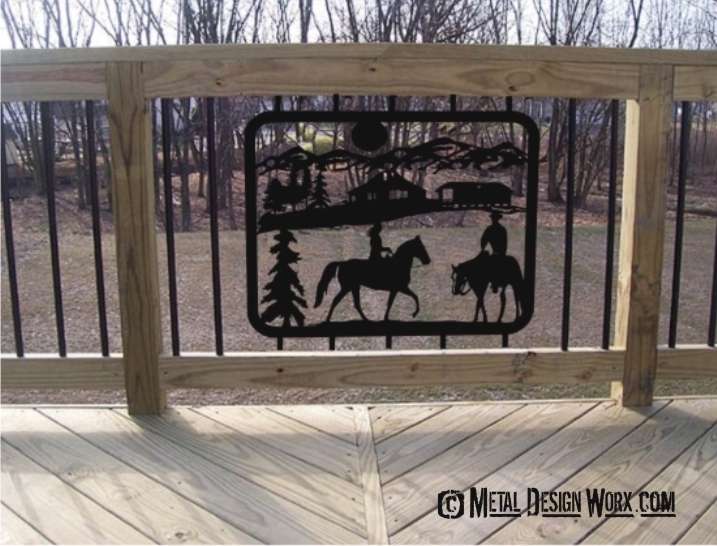 We can also alter existing designs. 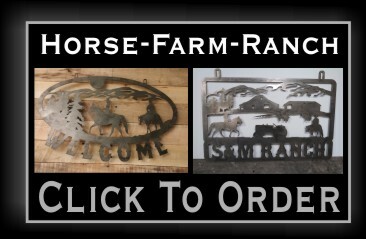 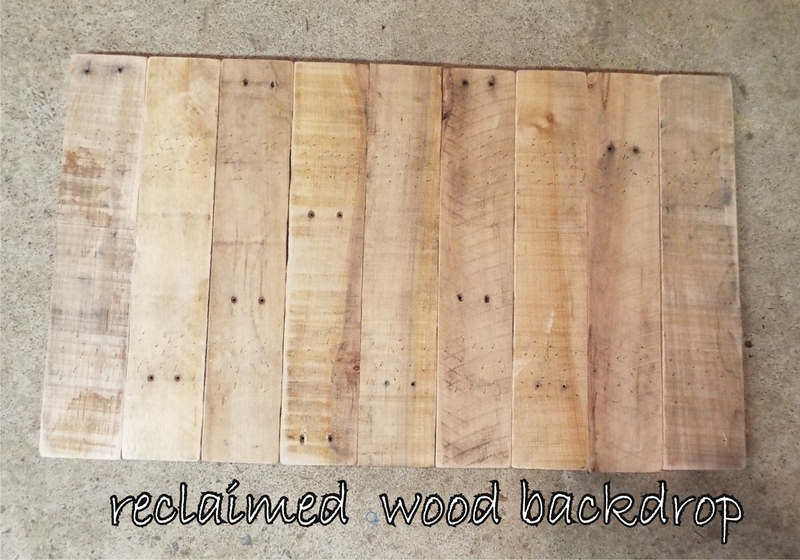 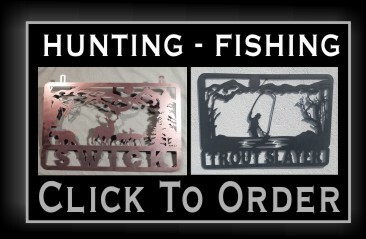 Order here or visit our Etsy store. 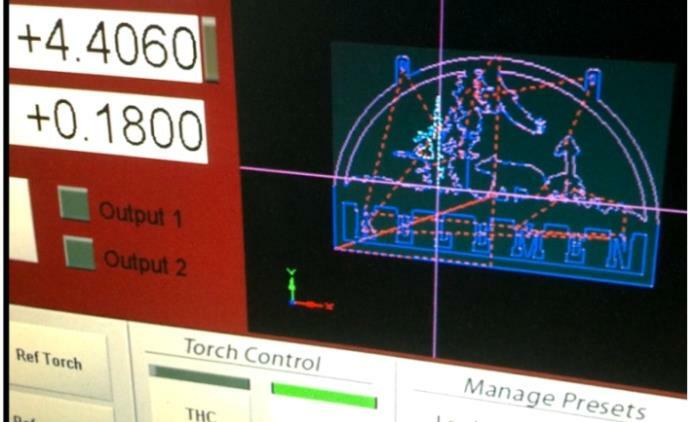 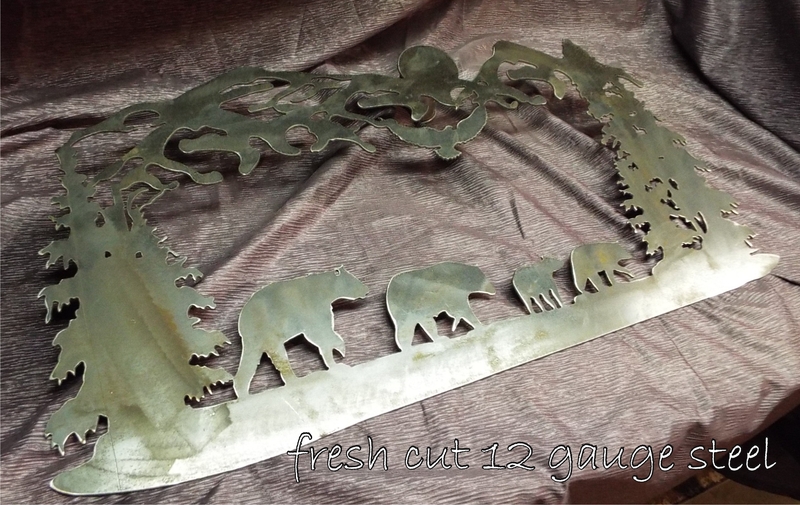 1-2 weeks production time. 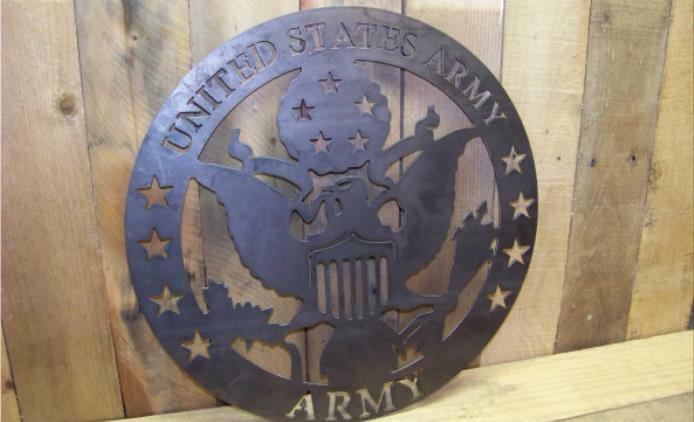 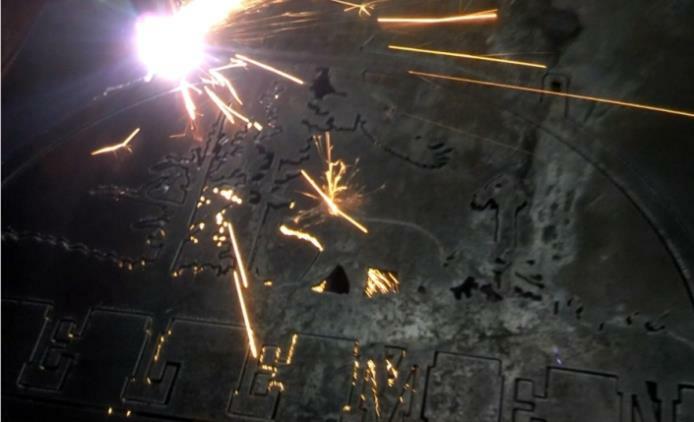 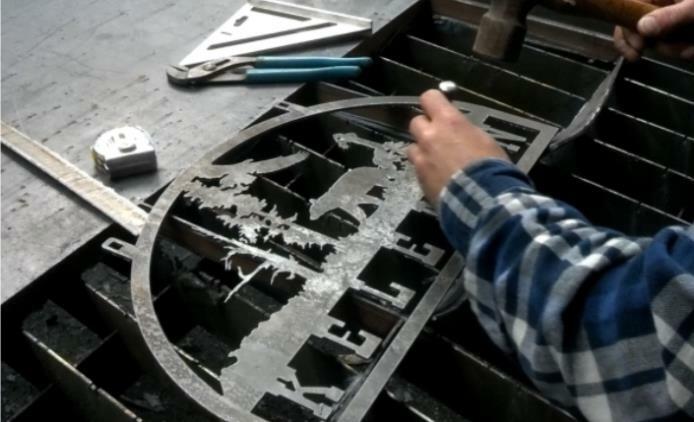 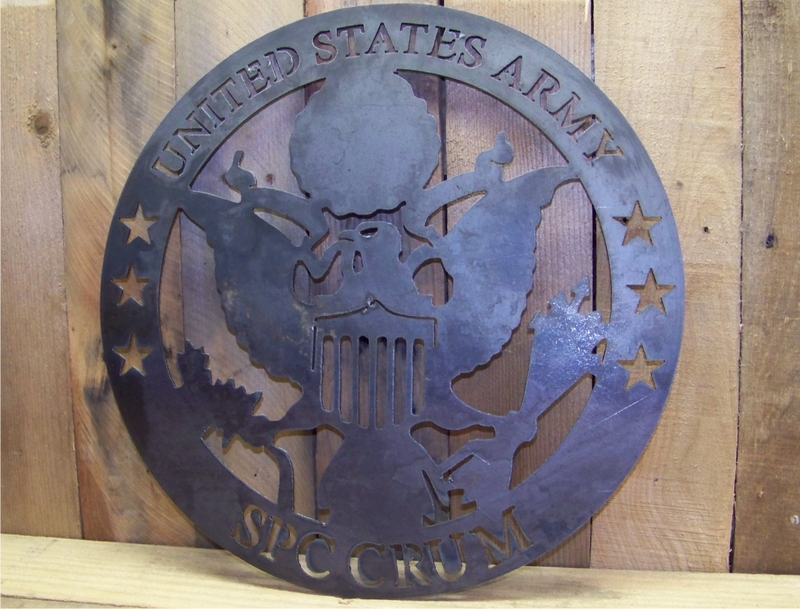 Imagine it cut in Metal! 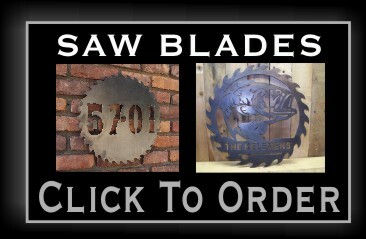 Your idea or browse the catalog.. 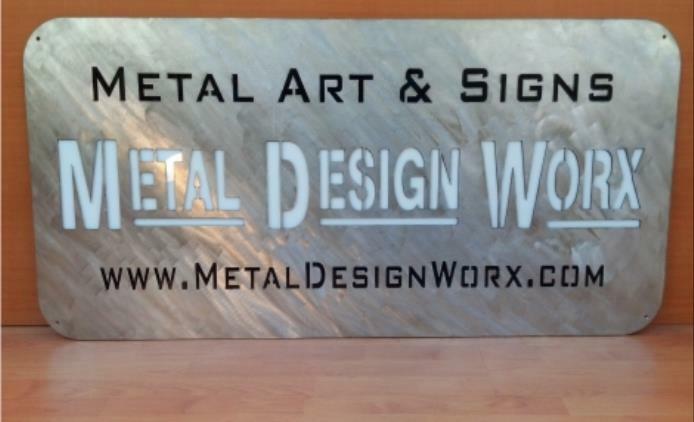 Inquire about your project or idea. 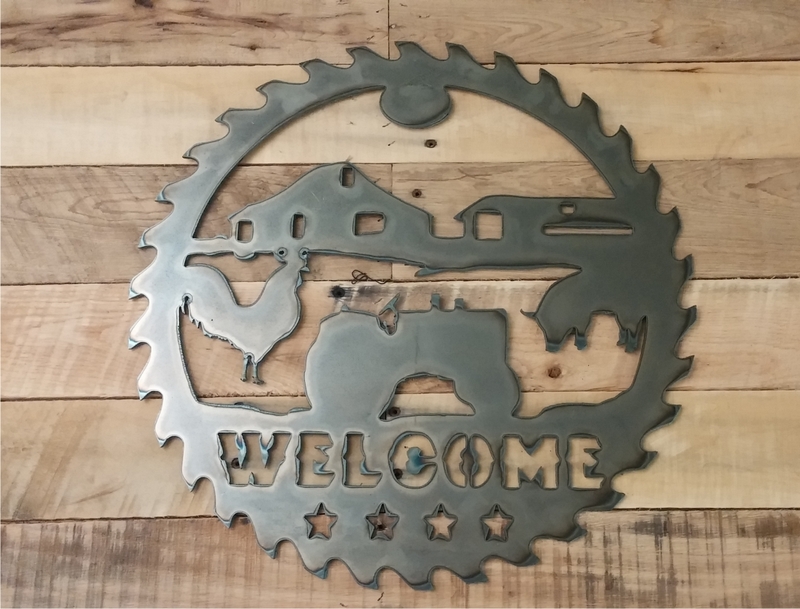 We are very customer friendly. 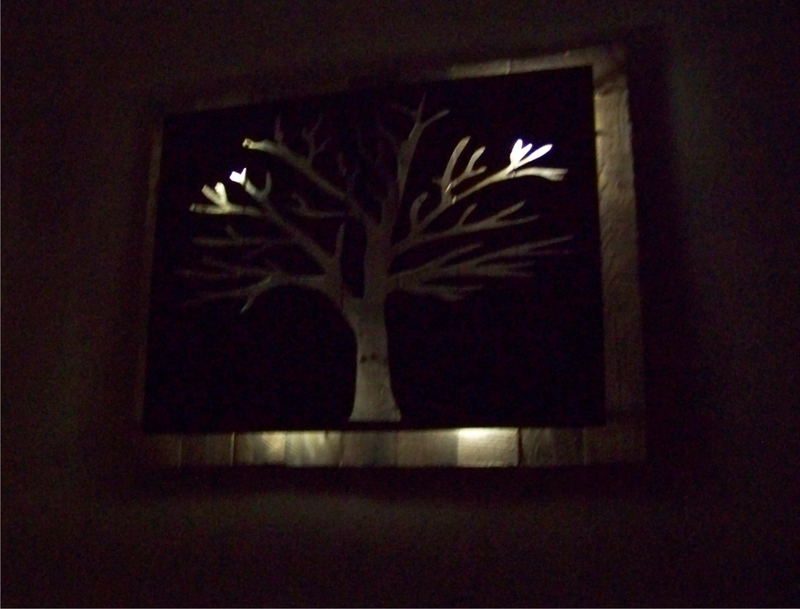 Your imagination is your only limitation. 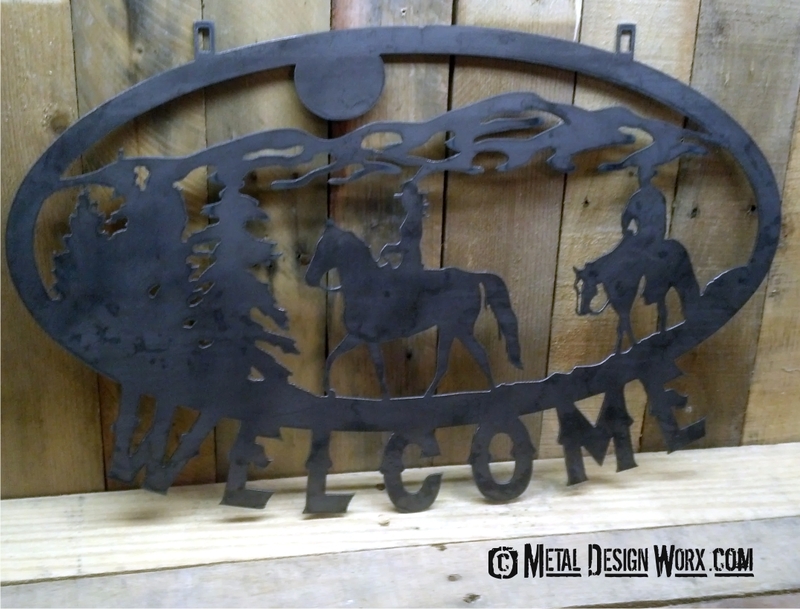 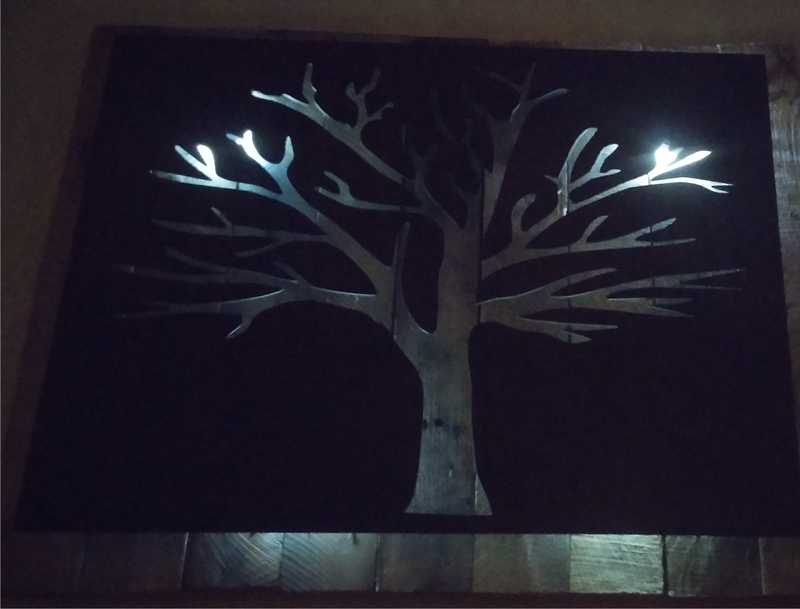 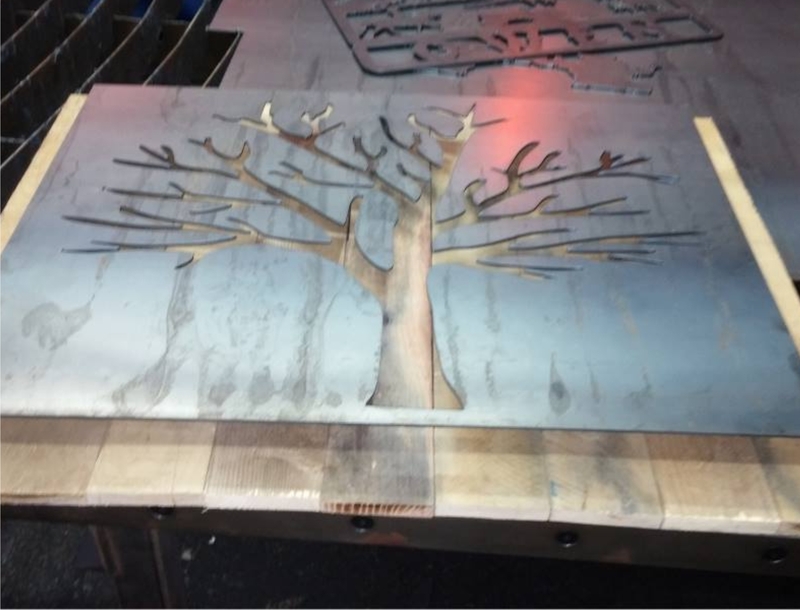 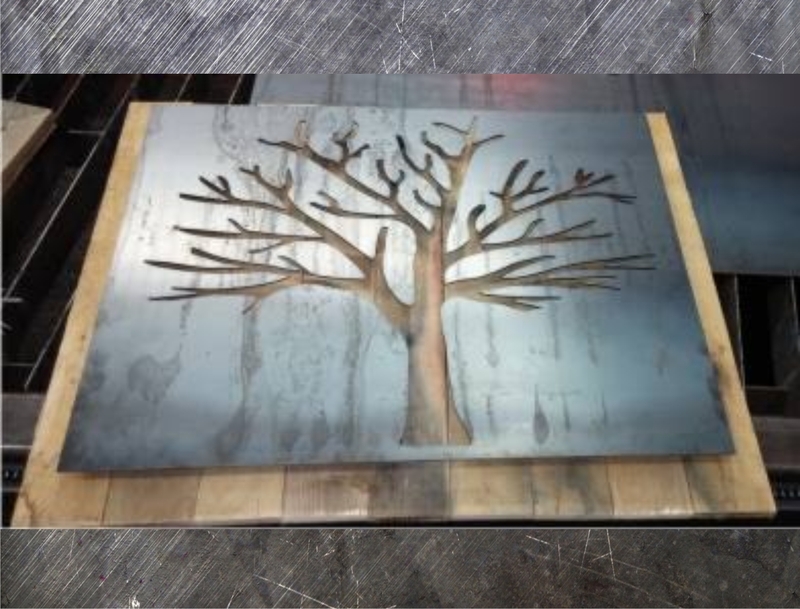 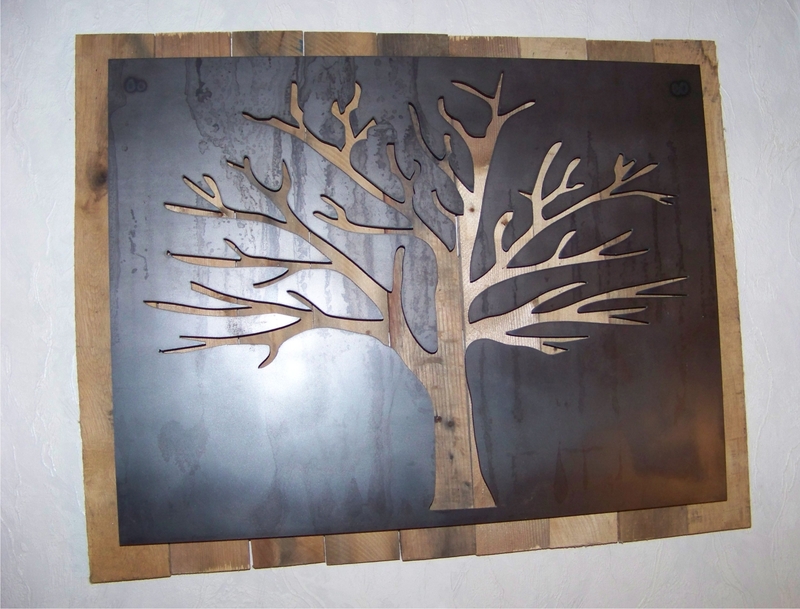 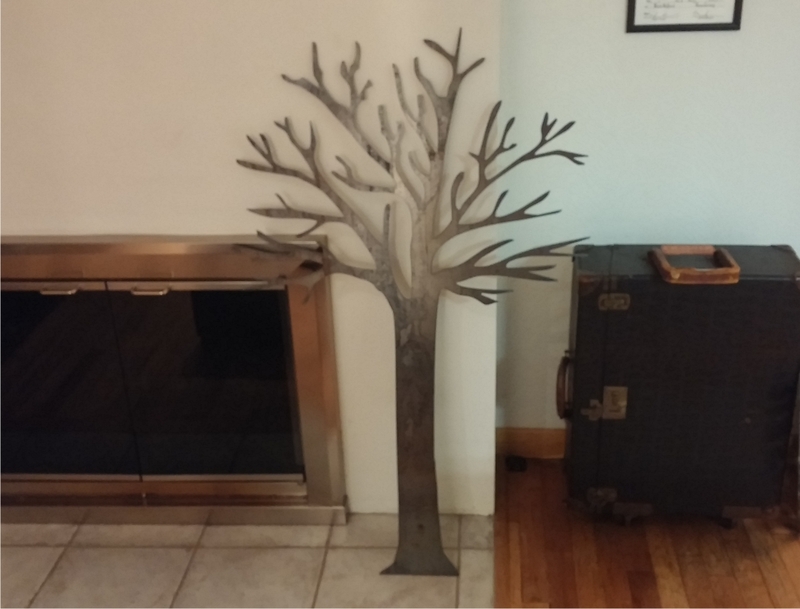 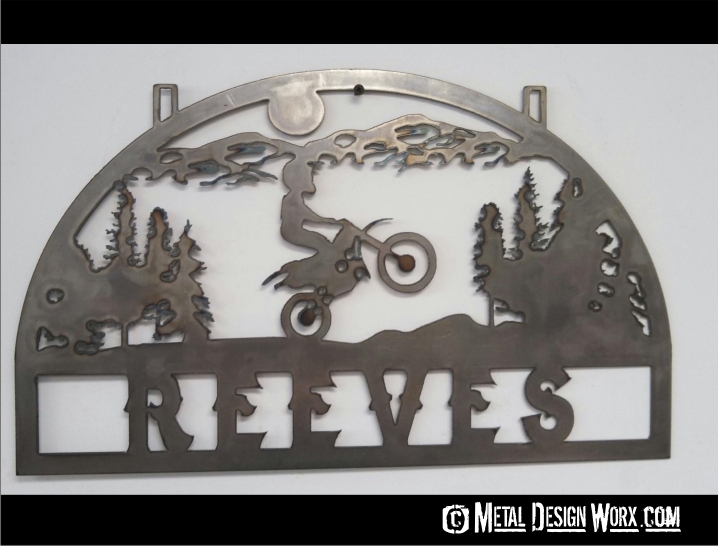 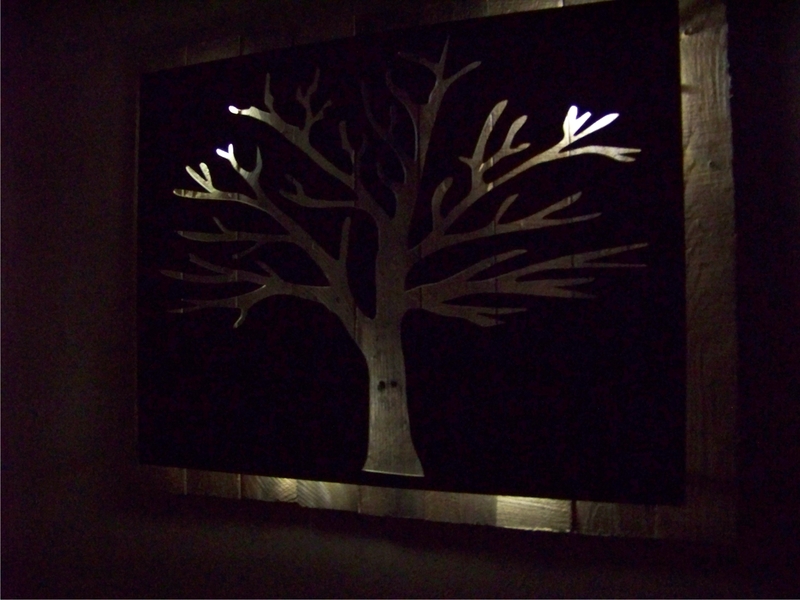 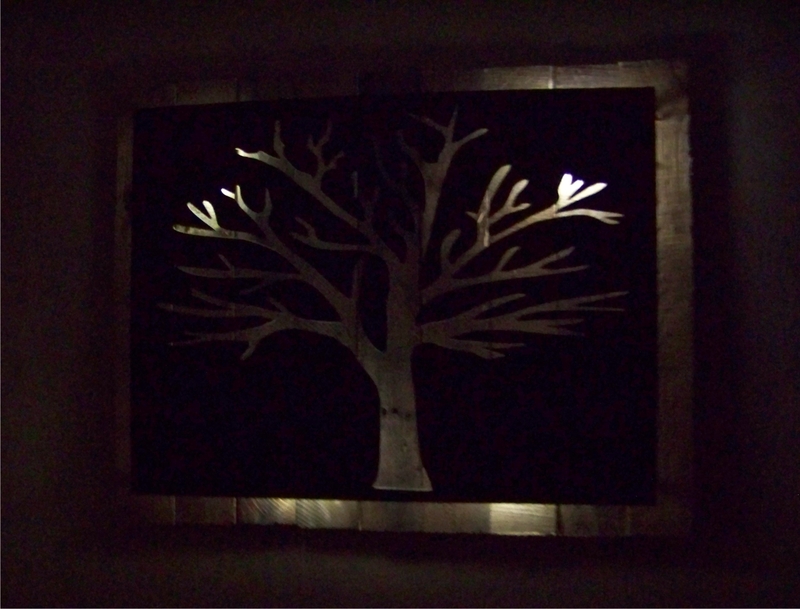 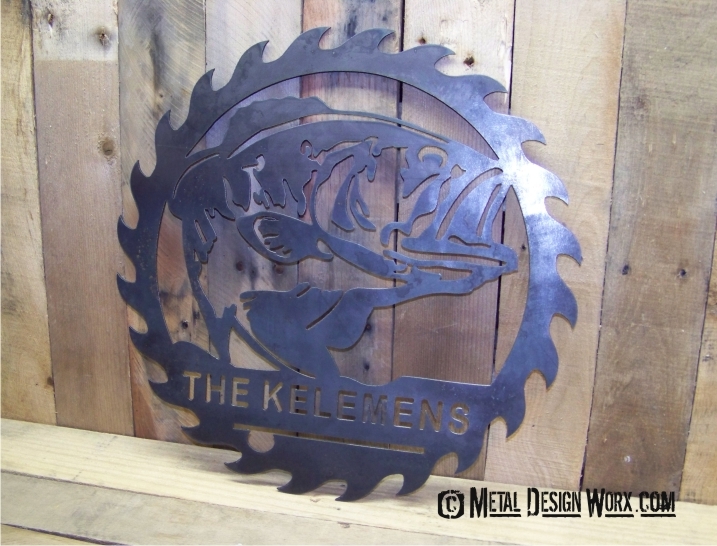 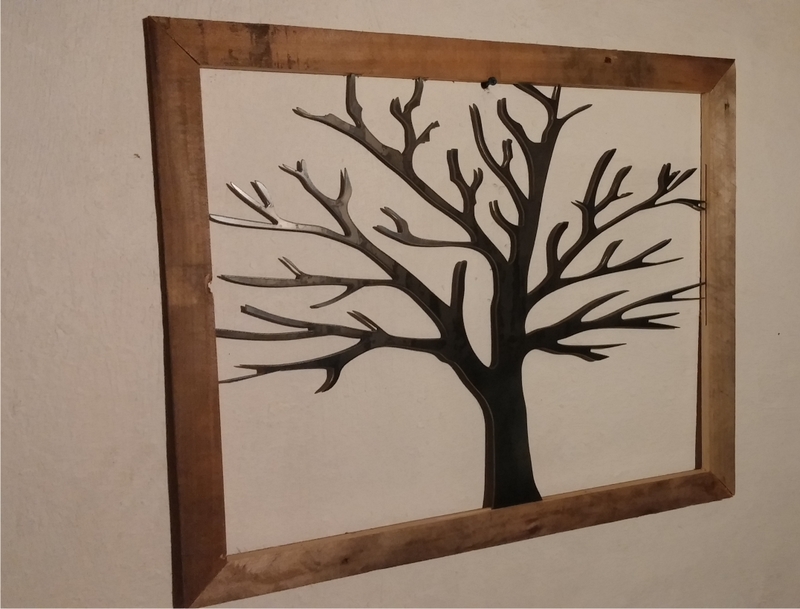 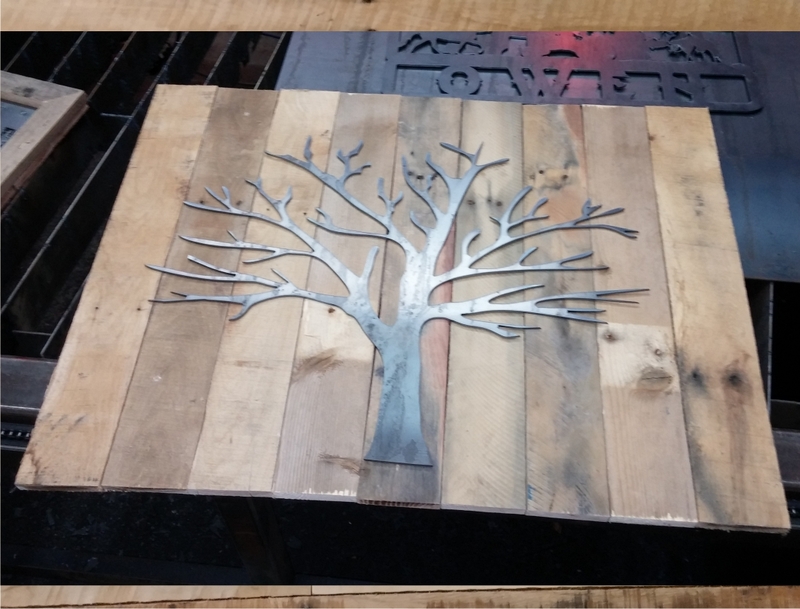 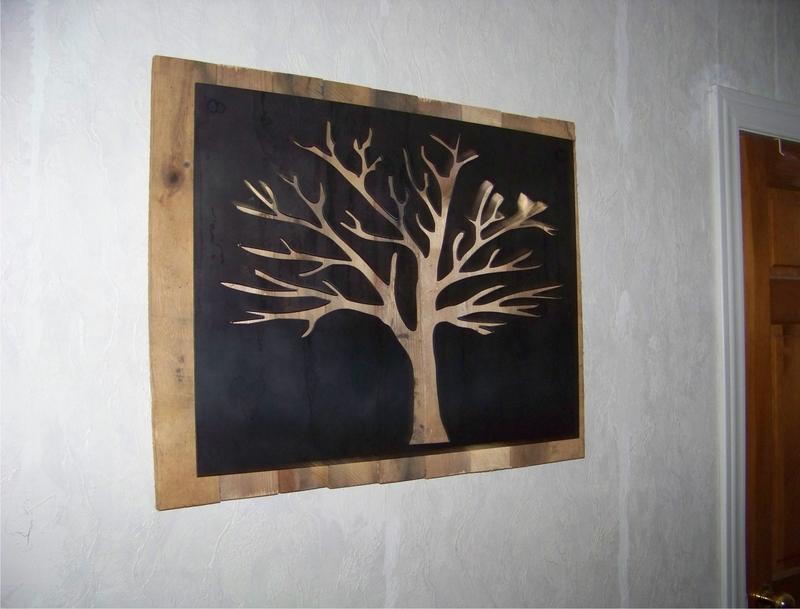 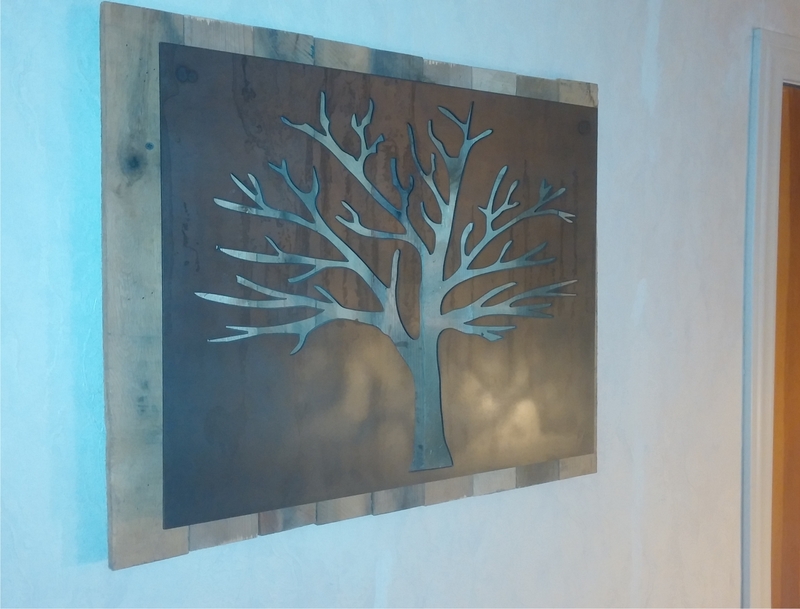 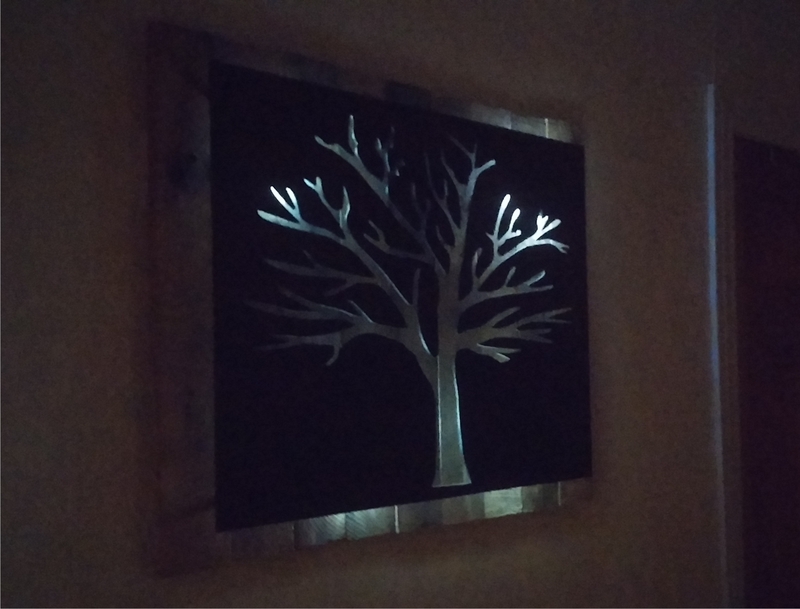 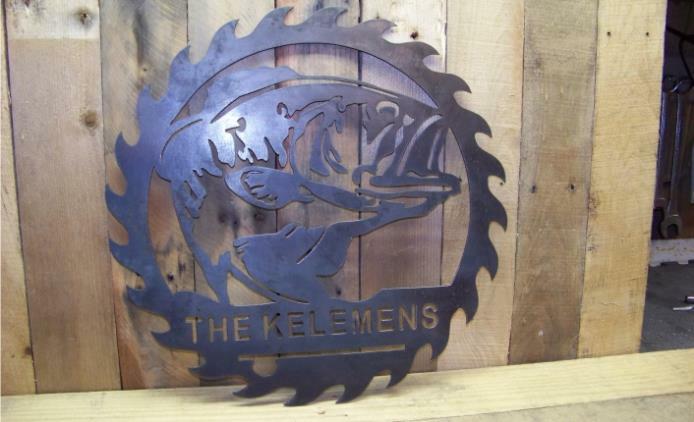 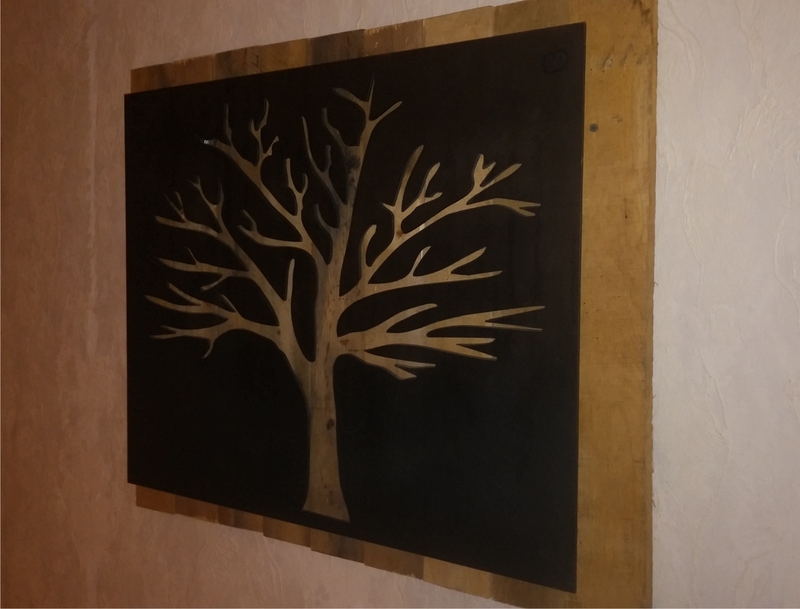 Metal Tree Art | Stand off metal cut out tree with reclaimed wood backdrop finished with back lighting. 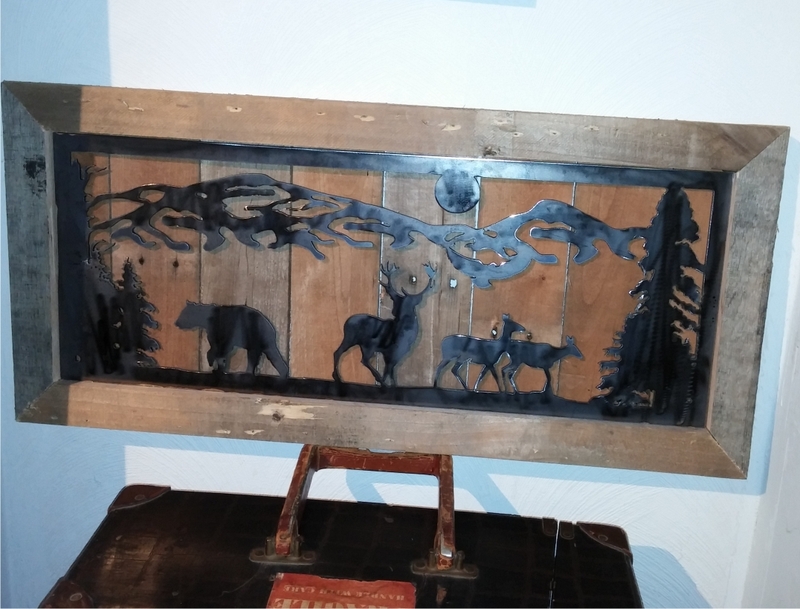 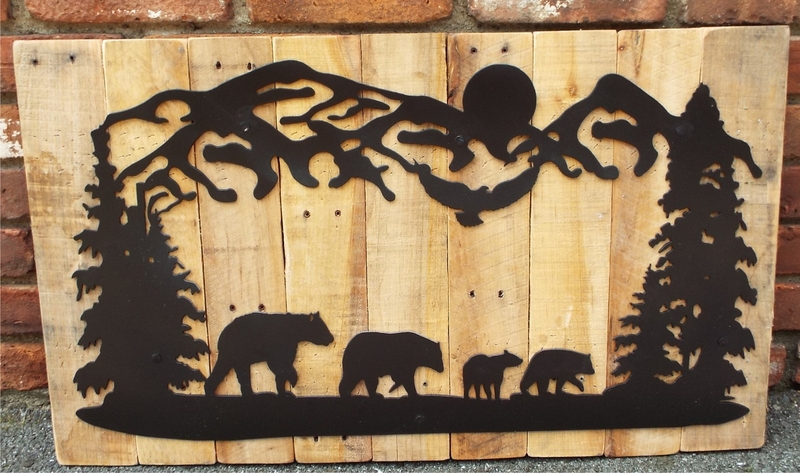 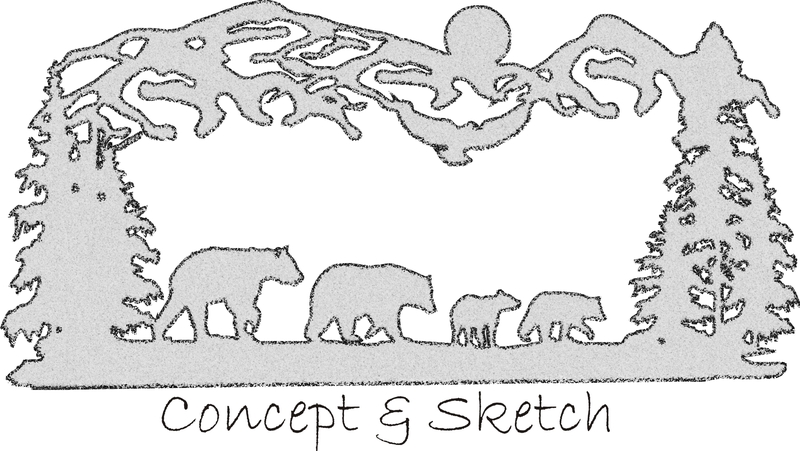 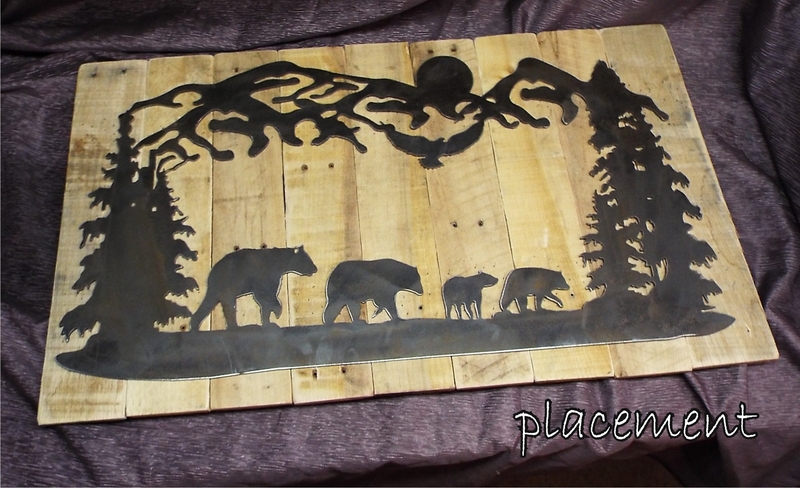 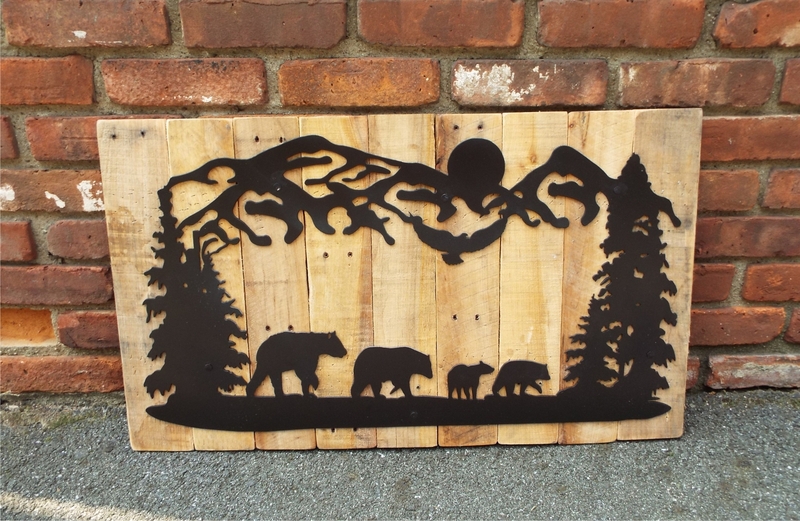 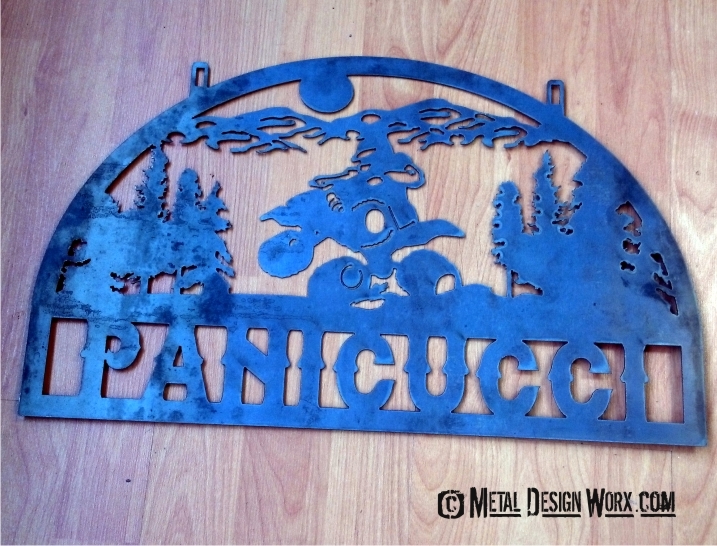 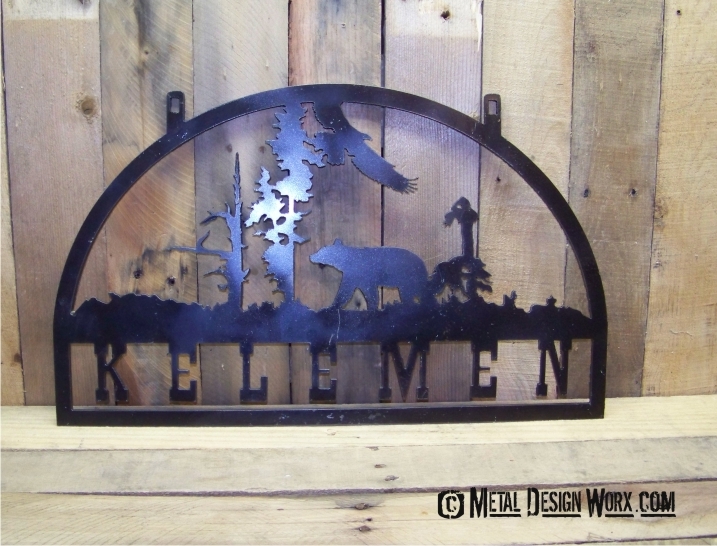 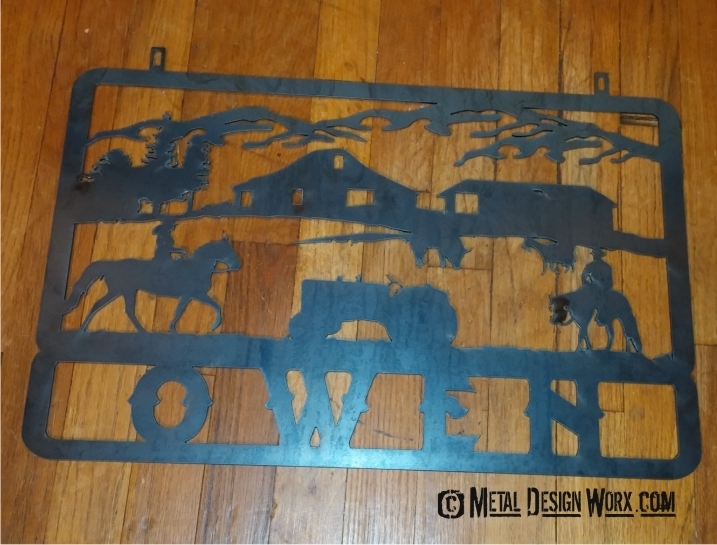 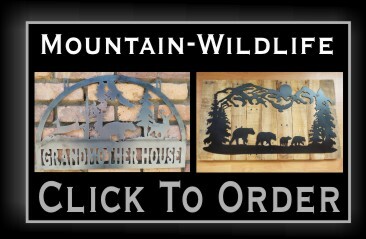 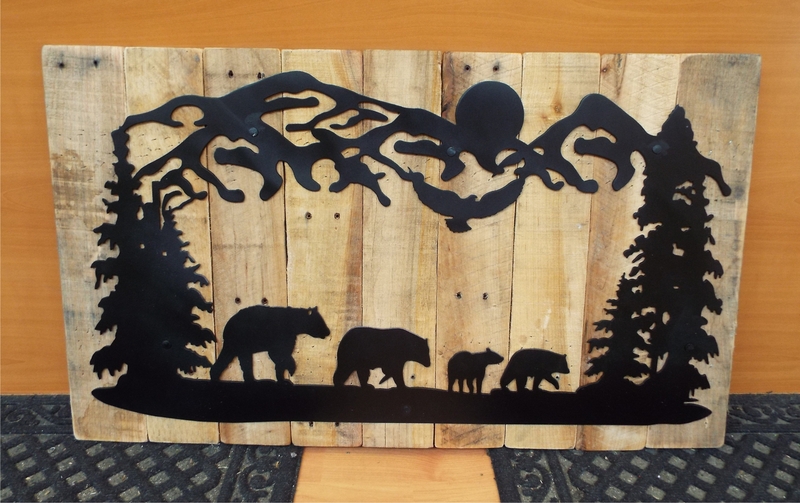 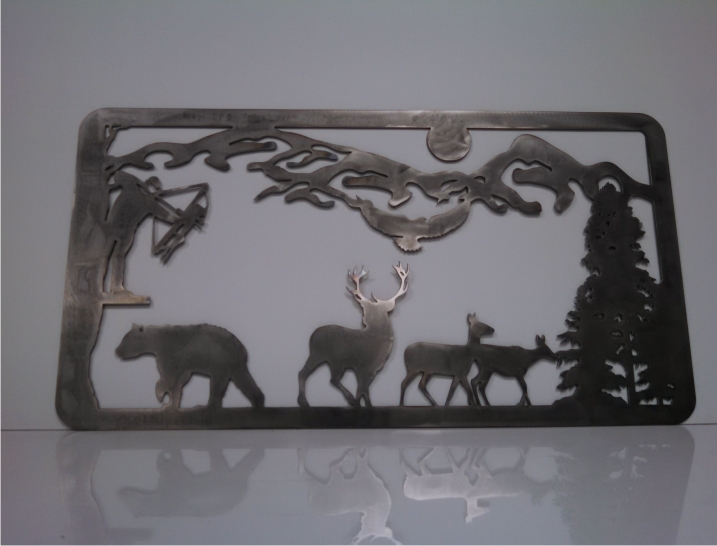 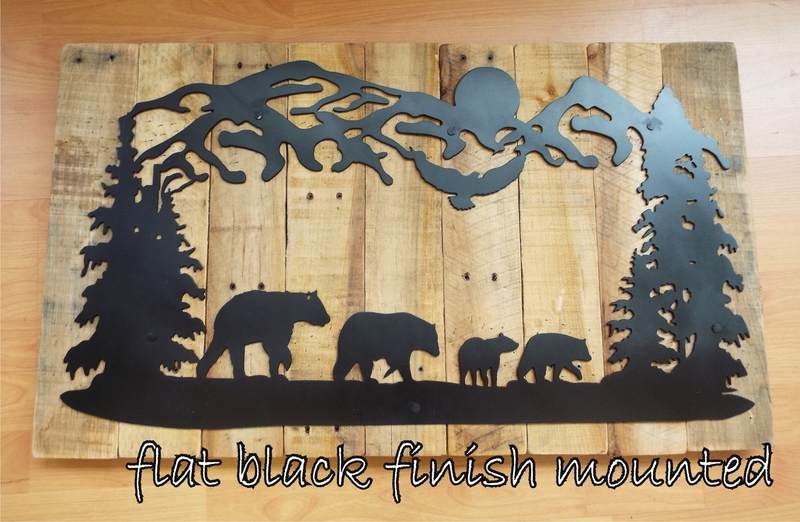 Bears and Cubs | Custom drawn metal scene with reclaimed wood backdrop.